Delta Dental of California will invest in Moda, putting the Oregon-based insurer on a solid financial foundation and opening up new markets. Delta Dental of California is investing $155 million in Moda, putting the Oregon-based insurer on solid financial footing. The deal, announced Friday in a news release, is considered a win-win for both sides, analysts said. It gives Moda a much-needed infusion of capital and will allow both companies to expand their offerings. The money will give Delta Dental a 50 percent stake in Moda, allowing it to diversify and offer integrated health-care solutions that are seen as the wave of the future. Officials at the Oregon Health Authority are in the middle of hammering out a transformation of the state's Medicaid system to include so-called social determinants of health, like employment and housing, which affect a person's health status. The reform is also intended to move the system towards value-based payments that are based on health outcomes and not the number of procedures performed. "Our strategic plan calls for expanding beyond stand-alone dental benefits through bundled offerings with powerful health and wellness brands," Tony Barth, president and CEO of Delta Dental of California, said in a statement. "We're taking an important step in that journey." The deal has to be approved by Oregon's Department of Consumer and Business Services. The Lund Report revealed in August that there will be a vote this Saturday by the House of Delegates of the Oregon Dental Association, which founded Moda in 1955 as a dental insurance company, Oregon Dental Service or ODS. The association elects directors to the board of Moda, Inc., which, in turn, appoints the members of the Moda Health board. The delegates have to approve a change in Moda’s bylaws, allowing non-association members on the board. If they give the thumbs up, Delta Dental will get two seats on Moda's board, sources told The Lund Report. Gootee will have a seat and Moda will have two seats. When Gootee retires, his seat will go to Moda. Delta Dental and Moda have a long history, dating to 1955 when Delta Dental of California and ODS, Moda's parent corporation, worked with dentists in California, Oregon and Washington to form the first independent pre-paid dental plans. They later became Delta Dental Plans Association. Moda offers Delta Dental plans, along with pharmacy and medical coverage. Besides Oregon, it serves residents in Washington and Alaska. Delta Dental of California, a not-for-profit organization, offers dental coverage in 15 states under their own brands. Financial reports show that Delta Dental has continued to grow, with a net income of nearly $178 million in 2017 and almost $80 million at the end of the first two quarters of this year. As for Moda, it's been on rocky financial footing for years, stemming from losses under the Affordable Care Act, former President Barack Obama’s signature achievement. The ACA was intended to ensure that more Americans were covered by health insurance -- and it did -- partly by banning insurers from denying plans to those with preexisting conditions. To compensate, the ACA promised to reimburse insurers that lost money through the so-called risk-corridor program. The program was created to stabilize the insurance marketplaces through a redistribution of funds from profitable companies to those with losses above a certain amount. But Republicans in Congress essentially scaled back the payments. Since 2014, Moda has only received $15 million in payments, Nicholas said. The government owes it $250 million for 2014, 2015 and 2016. he said. Other health insurers have suffered as well. In fact, two Oregon insurance co-ops, Health Republic and Oregon Health Co-op, folded. Moda has struggled through losses, reporting negative net incomes in 2014, 2015 and 2016. Its losses peaked in 2015 with nearly $50 million in negative net income. Towards the end of that year, Oregon Health & Science University swooped in, giving Moda a $50 million loan with the possibility of converting that into a 25 percent equity share. OHSU eventually decided against taking a share. In 2016, the state, worried about Moda’s finances, moved to take over the company but backed down when Moda raised new capital. Moda also went to court against the federal government, saying it was owed millions in risk corridor payments. It prevailed in a 2017 decision by the U.S. Court of Claims, which ordered the government to pay Moda $214 million. The federal government appealed. This past June a three-judge panel for the U.S. Court of Appeals for the Federal Circuit in Washington D.C. overturned that decision. Moda has appealed, asking the full federal appeals court to reconsider. In the meantime, Moda’s finances were in the black last year, with a net income of nearly $45 million, according to its financial statement. But in the first quarter this year, it reported a net loss of more than $15 million. The financial statement still shows Moda in the clear, with a capitalization of nearly $76 million. 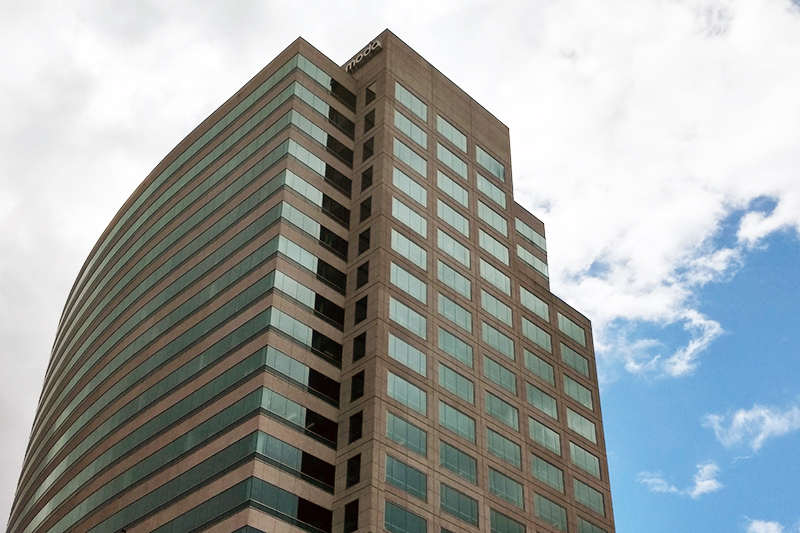 Moda will continue to operate as an Oregon-based independent insurer, headquartered in downtown Portland, the news release said. The net income of Delta Dental has been corrected to reflect that of the California-based group.